As part of a planned multi-units operation Gardai carried out a search of a large industrial lock up premised in Co. Longford yesterday morning (Thursday). More stolen plant machinery in the warehouse in Longford. 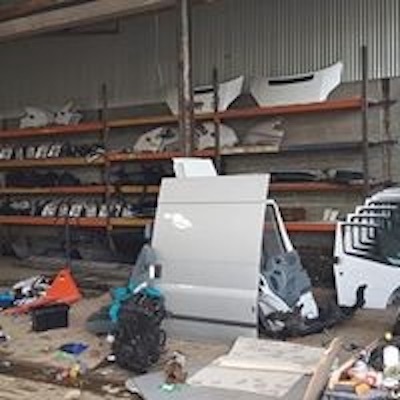 During the search a large amount of suspected stolen industrial plant, tools, trailers, vans, cars, engines and car parts with an initial estimate of up to €500,000 (subject to examination) were recovered. 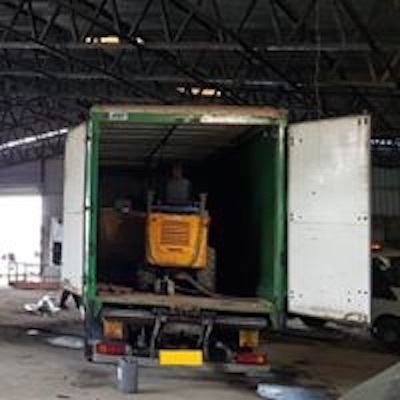 Some of the items have already been identified as being stolen in the UK over the past few months and Gardai continue to try and establish the origin of the rest of the property. The scene is currently preserved and the technical examination continues. There were no arrests, which begs the question with local Gardai, the local Regional Support Unit, the Garda Stolen Motor Vehicle Investigation Unit, The National Bureau of Criminal Investigation and The Longford Drugs Unit all involved, who tipped off the criminals who got away. Of course the investigation is ongoing, but surely such a big operation involved surveillance in the lead up to the raid, yet no one was arrested. I hope I’m wrong and they still have the culprits under surveillance, with multiple arrests pending here or in the UK.